Looking for an awesome location in Gilbert to build that custom home with enough land to have horses, livestock and room to grow?? This is it!! 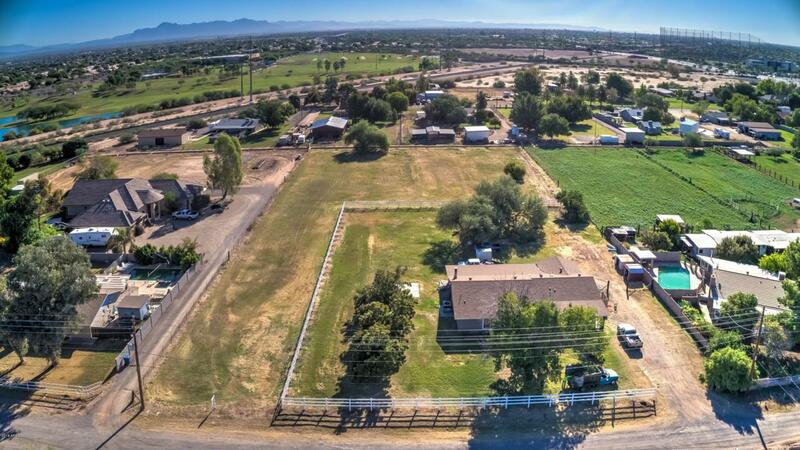 This property is approximately 1.5 acres in the heart of Gilbert with Town of Gilbert Water, SRP Power, Cable TV, septic system to be provided by new owners. The lot is partially fenced and offers that rural feel while being located near the San Tan Shopping Center, great 202 Freeway access, lots of nearby restaurants! The land is located in a Maricopa County area adjacent to the Gilbert City limits. The address provided in this listing is for the home and land to the south. The land for sale is the parcel to the north of the home. A sign is located on the property.